Home > Op-Ed / ZOA in the news > ZOA Op-ed in Berkeleyside News: Did Pro-BDS Councilwoman Illegally Use Israel Views as Basis for Appointment? It should go without saying that every appointment to a city government position must be based on qualifications alone, not on someone’s personal political beliefs that have nothing to do with the effective administration of the city’s affairs. Yet consider Berkeley City Councilwoman Cheryl Davila, an open supporter of the anti-Israel boycott, divestment and sanctions (BDS) movement. There is troubling evidence that when she made appointments to various city commissions, she applied a completely irrelevant, biased and bigoted standard – namely, whether the candidate agreed with her anti-Israel views. If that evidence is substantiated, Davila’s actions violate the Berkeley Municipal Code, as well as public policy against discrimination and the BDS movement. Dee Williams-Ridley, the city manager, is responsible for administering all city affairs and for ensuring that all laws and ordinances are enforced. She must institute an immediate investigation of Davila’s actions and hold her accountable for any wrongdoing or illegality. Last month, Berkeleyside reported that in November, Davila dismissed Berkeley resident Ben Gerhardstein from the Transportation Commission. Gerhardstein’s qualifications weren’t the issue; he reportedly has extensive experience in the field of transportation. His colleague on the commission described him as “a really great commissioner” who got things done. Gerhardstein’s account is bolstered by at least two other commissioners who acknowledge that Davila questioned them, too, about Israel and divestment during their interviews with her. There is troubling evidence that when she made appointments to various city commissions, she applied a completely irrelevant, biased and bigoted standard – namely, whether the candidate agreed with her anti-Israel views. Davila claims that Gerhardstein’s email account of their first meeting is “not entirely accurate, nor the truth.” But significantly, she doesn’t deny that she raised Israel, “Palestine” and BDS in her meetings with him – matters that are completely irrelevant to the responsibilities of the Transportation Commission and to Gerhardstein’s qualifications to serve on it. Gerhardstein’s account is bolstered by at least two other commissioners who acknowledge that Davila questioned them, too, about Israel and divestment during their interviews with her. They are nothing of the sort. Davila’s actions may have violated the Berkeley Municipal Code, which makes it crystal clear that one’s political beliefs cannot be a consideration for the appointment to any city government position. An entire section of the Code is dedicated to non-discrimination and prohibits the very actions that Davila appears to have engaged in. In addition to the legal requirements of the Berkeley Municipal Code, Davila’s seeming attempt to stack city government with those who support discriminating against Israel by singling out the Jewish State for punishment – which is exactly what the BDS movement does – is against public policy. The state of California has expressed a zero tolerance policy for discrimination, hate, bigotry, and the BDS movement. In September 2016, Governor Jerry Brown signed Assembly Bill (AB) 2844 into law, which prohibits the state from entering into public contracts that discriminate against any sovereign nation recognized by the U.S. government. The only nation specifically mentioned in the law is Israel. There was huge support for the law, which passed overwhelmingly in the State Senate and Assembly. After the bill became law, its author, Assemblyman Richard Bloom praised what it accomplished: “AB 2844 helps put an end to that [BDS] movement here in California.” California has thus made it clear that the state will not tolerate discrimination or bigotry against Israel. The city manager must carry out her legal obligations and immediately investigate whether Davila used her position on the City Council to make appointments to commissions based on her perception of whether prospective appointees supported her biased and bigoted political opinions about Israel. If she did, then Davila violated the law and public policy and she must be held accountable. In addition, her wrong must be righted and the damage corrected to the extent possible. That means that if he is still willing to serve, Ben Gerhardstein should be reappointed to his position on the Transportation Commission. Susan B. Tuchman is the director of the ZOA Center for Law and Justice. 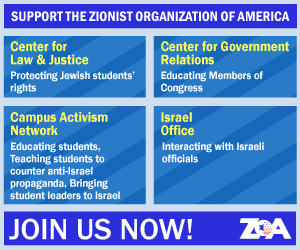 David Kadosh is the executive director of the western region of the Zionist Organization of America. This article was published by Berkeleyside.com and may be found here.